Not a cloud in the sky on this beautiful Memorial Day!! Everything is shaping up around the resort. 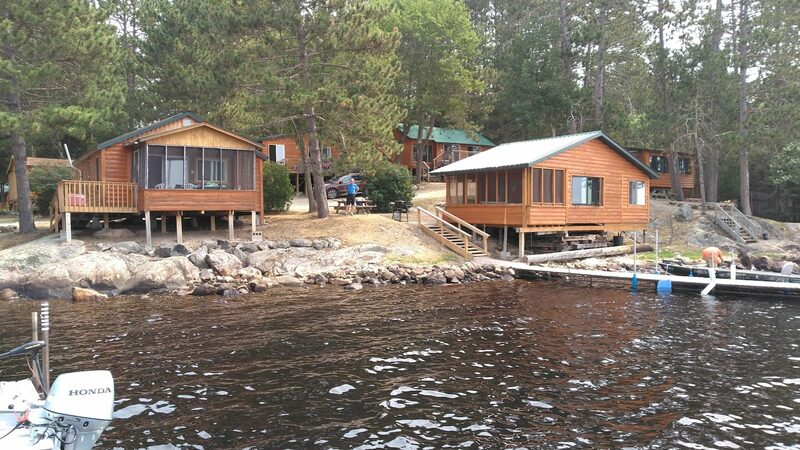 Most of the cabin projects are pretty much done and ready to go. 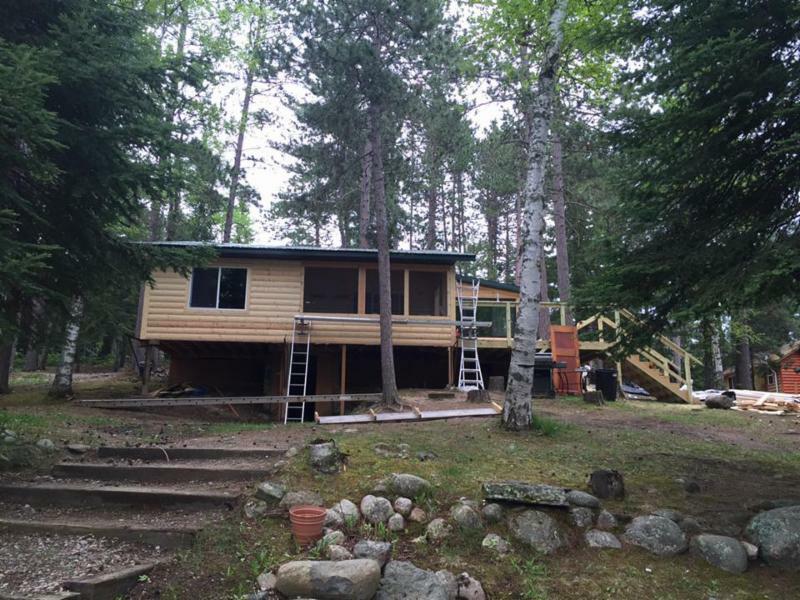 The weather has been great which has allowed John and his crew to move through and complete many spring projects both on the WIBR and Retreats property. 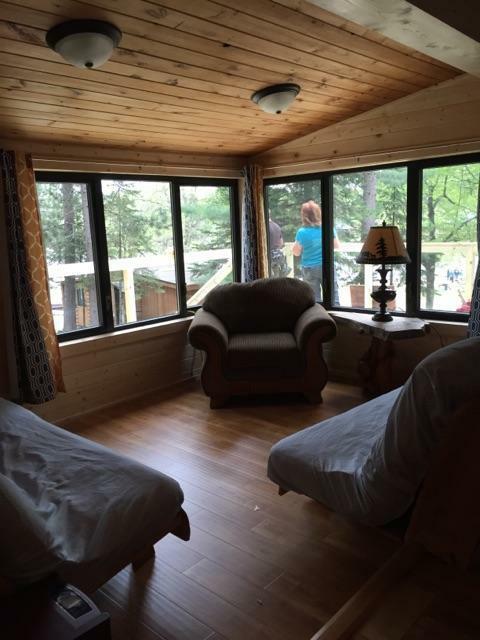 Check out the pictures below of the Cabin 13 project. 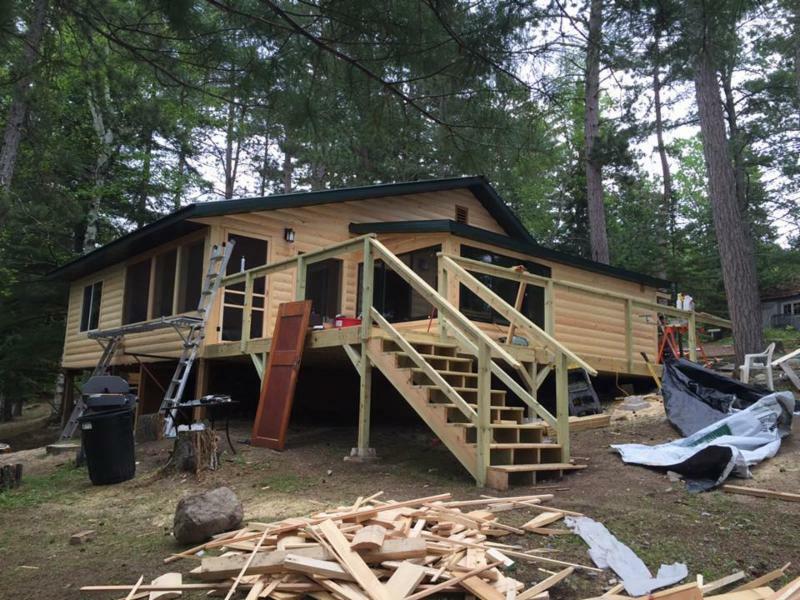 Also watch out for pictures of the almost complete cabin 26 to be posted on FB. We have been pretty busy at the resort right from opening weekend and June is shaping up nicely. Town has been busy too. As mentioned in a previous newsletter 2 Gringos Grill (Tex-Mex style) is scheduled to open sometime in July. Be sure to check it out and grab some tacos or enchiladas. John and Tanner Ott are making significant progress on the Salerno Building and State Theater. Be sure to check out the pics at the bottom of the newsletter. Town will continue to gear up as the 4th of July approaches and the Blueberry Arts Fest opens up the end of July. The weather forecasts are great so come on up and enjoy the beach and everything the area has to offer. Opener arrived with mild weather and no ice on the lake. The fishing has been good and anglers have been catching. Some younger kids just a couple of days ago were catching some really nice black crappie right off the dock! Most everything has been caught on minnows but I’m sure the leaches will start working soon. We are looking froward to a great June through September fishing season.